This 32 week 1 hour 40 minute course is designed to be the student’s first high school science course. Exploring Creation With Biology is a college-prep biology course that provides a detailed introduction to the methods and concepts of general biology. Heavily emphasizing the vocabulary of biology, it provides the student with a strong background in the scientific method, the five-kingdom classification scheme, microscopy, biochemistry, cellular biology, molecular and Mendelian genetics, evolution, dissection, and ecosystems. It also provides a complete survey of the five kingdoms in Creation. 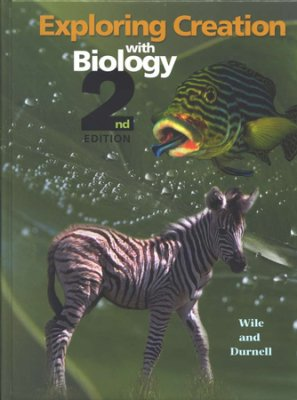 Students who take and understand this course will be very well prepared for a tough university biology course. 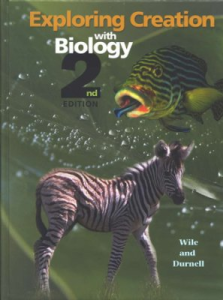 The key text, Apologia’s Exploring Creation with Biology (2nd edition) textbook, incorporates an engaging, conversational tone capable of grabbing teenagers’ attention and keeping their minds on track. The authors give a Christian viewpoint and lift up God’s incredible design for the world, which is reinforced with colorful illustrations, pictures, tables and charts. Aspiring young scientists will enjoy the brief biographical summaries of notable scientists with Christian backgrounds. 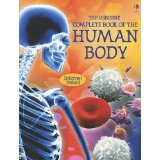 We will also take 5-6 weeks to briefly cover Human Anatomy and Physiology using The Usborne complete book of the Human body. During this time we will dissect specimens from many body systems which will include muscles, bones, heart, kidneys, brains, and eyes.